Dr. McNamara joined Transitions LifeCare in August 2016. She has a background in Infectious Diseases and Wound Care, and completed a fellowship in Hospice and Palliative Medicine in Toledo, OH. 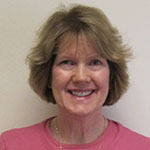 She provides care on the hospital-based palliative care consult service, and also serves as hospice team physician.